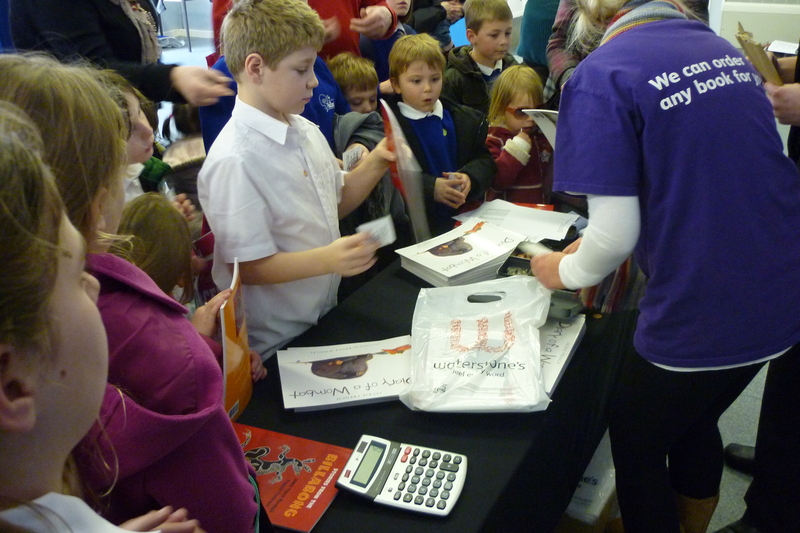 We held a book sale after school just to sell copies of our two Big Read books. 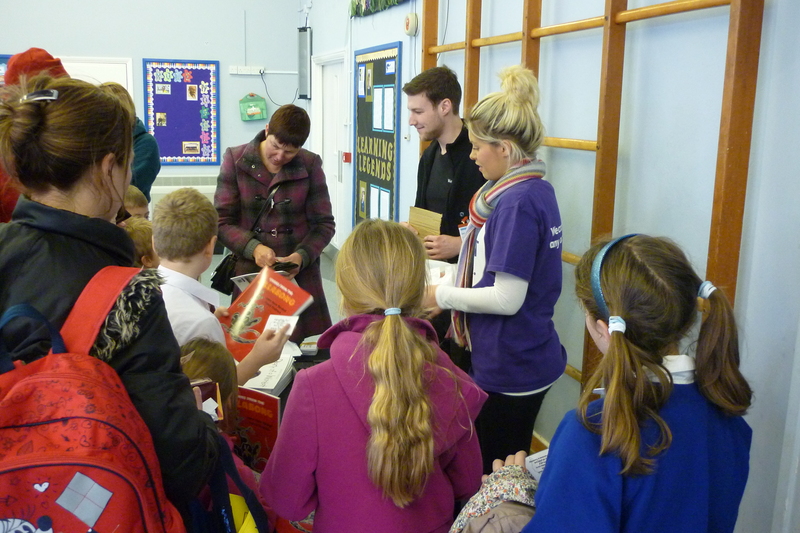 Hannah and James from the Waterstones store in Trowbridge came along to sell the books for us at a special Holbrook price. It was a bit of a crush afterwards but Hannah and James are both professionals so they coped! 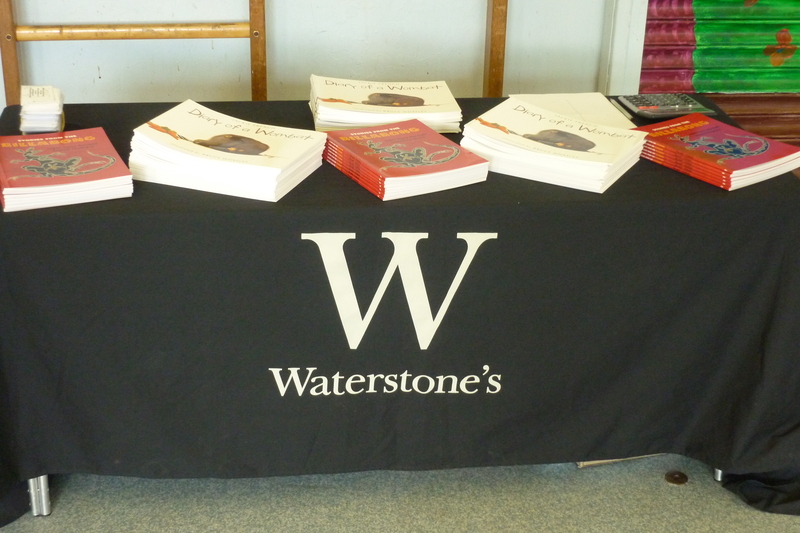 You can still buy copies of the book from the shop in Trowbridge at the special Holbrook price. I hope all our pupils and families will use their special discount card and get reading. 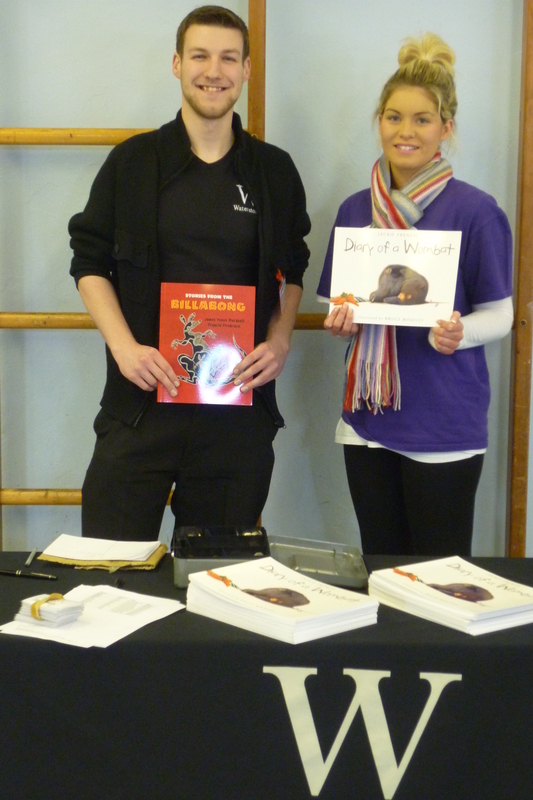 James and Hannah with copies of our Big Read books. The Holbrook Big Read starts here! Today we launched ‘The Big Read’ in assembly by announcing the titles of the books we will be reading during the month of March. 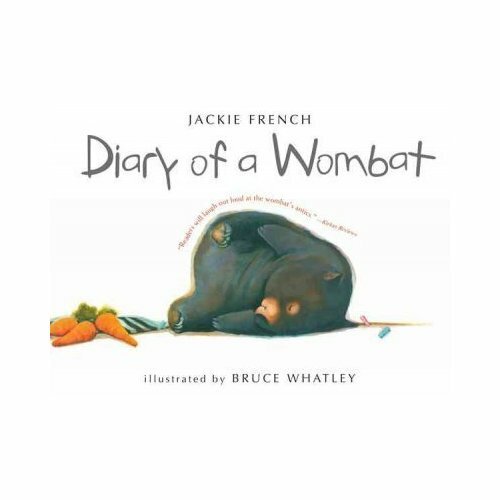 The Key Stage One book is ‘Diary of a Wombat’ by Jackie French. 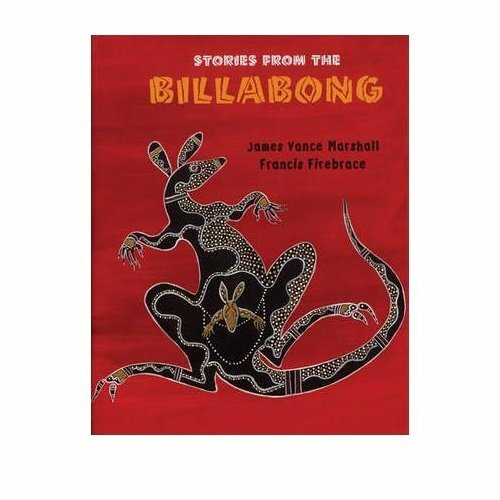 The Key Stage Two book is ‘Stories from the Billabong’ by James Vance Marshall and Francis Firebrace. We want all families connected to the school to read one or both of the books and tell us what they think. There will be lots of copies of the book available in school and, next week, the team from Waterstones in Trowbridge will be here to sell copies of the book at a discounted price. Teachers will be reading extracts in class but we want our pupils to read the book at home, share the story with their parents, maybe have the book read to them, and we want everyone to talk about the books. Readers of this blog can join in, too, because we will be posting pupil views and comments and the more comments we get the better. The Y4 Play will be performed this week. It has a title, at last, suggested by one of the cast members. It is called ‘The Heart of Australia’. The best way to find out why it has this title is to watch the play… but you can also read more about it on this blog this week. Here are some further photos of rehearsals. As you can see the scenery is being constructed. I hope it will be ready by the first performance. Older and younger pupils worked together so well. The blog writers led our assembly and I didn’t have to do anything! Our artistic map of Australia looks so good. The blog writers told us about Holbrook Public School in Holbrook New South Wales and we got to see their dance on DVD. We had a special Australian lunch at lunchtime. Parents joined us after school for tea and lamingtons. So many people came dressed in yellow and green. 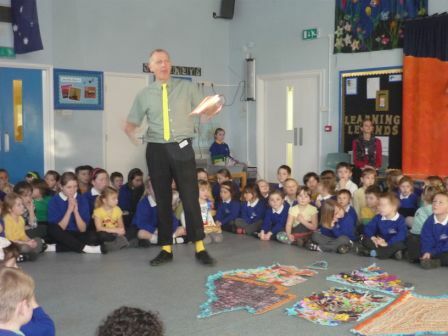 So many children told me about their exciting learning activities. So many children were keen to show their parents what they had done today. Also, I got to wear yellow socks. I don’t do that very often!